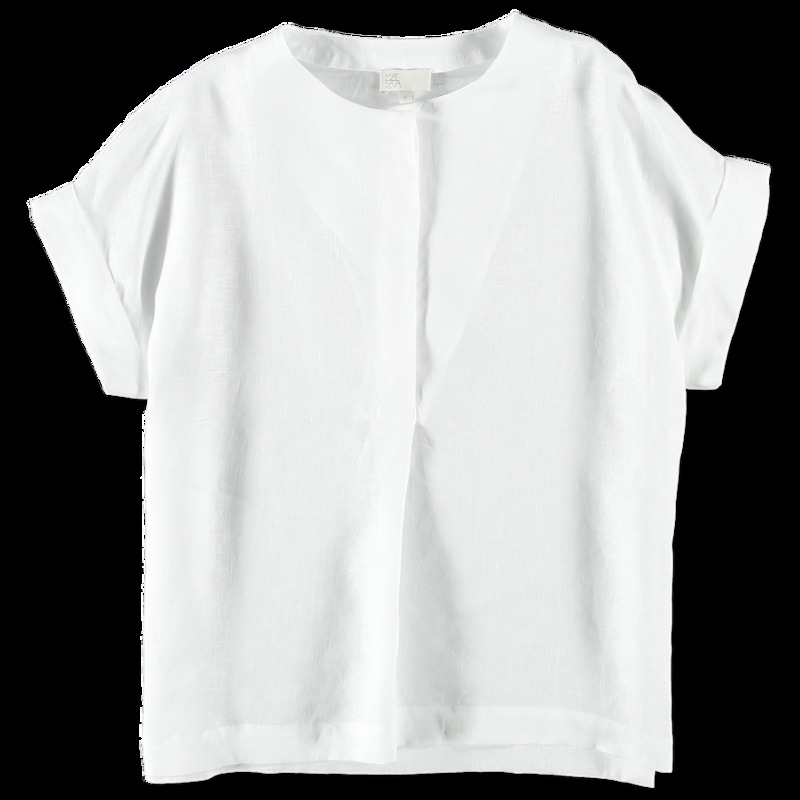 Cia Shirt from MASKA. 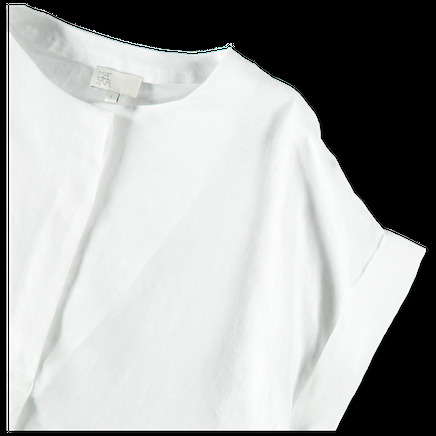 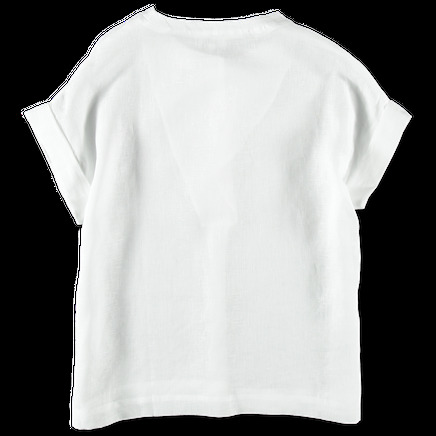 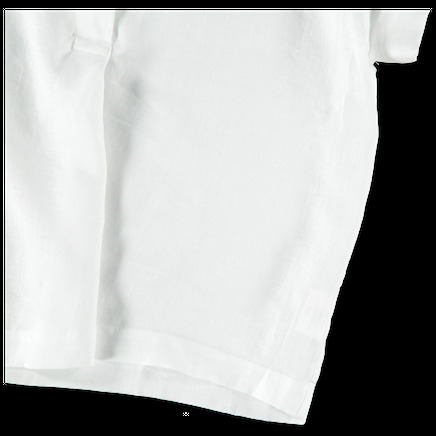 Short sleeved blouse in very fine linen, woven in Italy from Normandy grown fibers. Mother-of-pearl buttons and corozo buttons. Hidden closure. Folded sleeves.